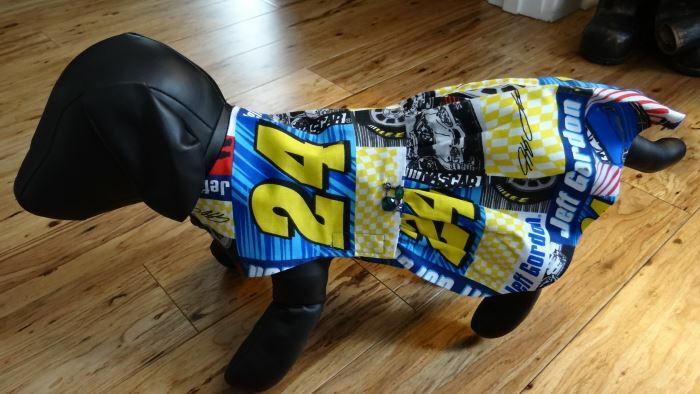 This #24 Jeff Gordon NASCAR Dog Sun Dress in Size Small was designed by Bark Avenue Dog Boutique for the NASCAR puppy. 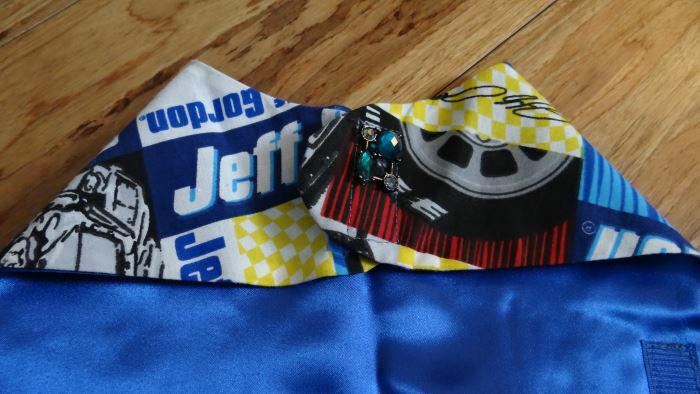 Your little girl puppy can step out in style during the NASCAR racing season. 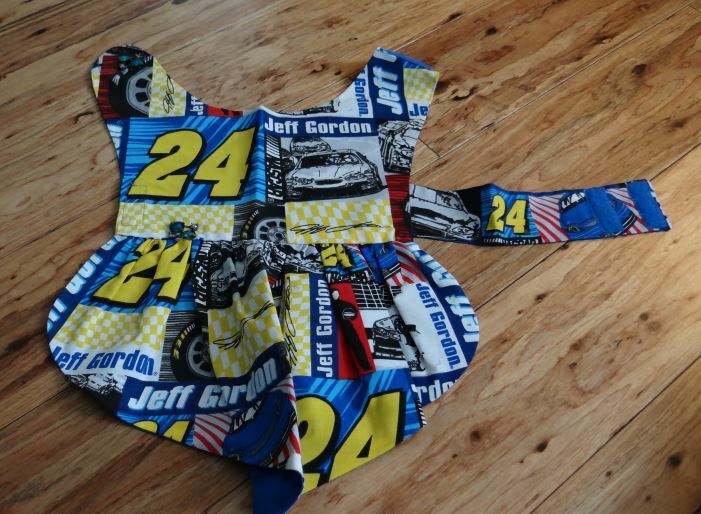 This #24 Jeff Gordon NASCAR Dog Sun Dress is a one of a kind original. You will never see another dress like this one. 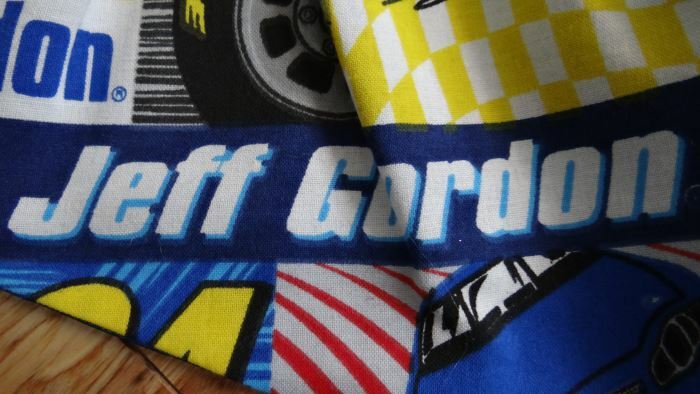 The cotton polyester fabric is an array of colors featuring blues, yellow, red, black and white. 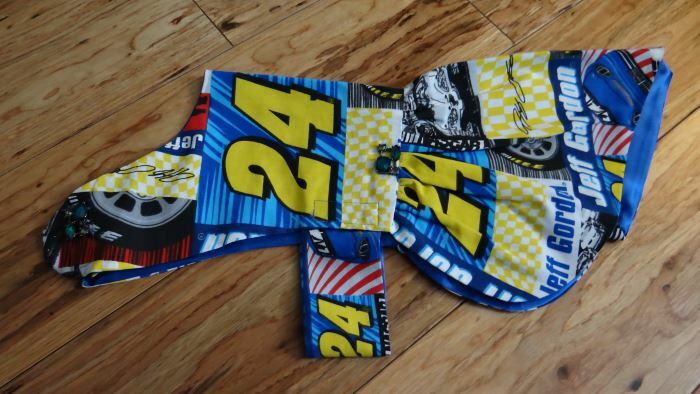 The fabric features a blue race car, the car #24, tires, JEFF GORDON, check patterns and switches in different colors. 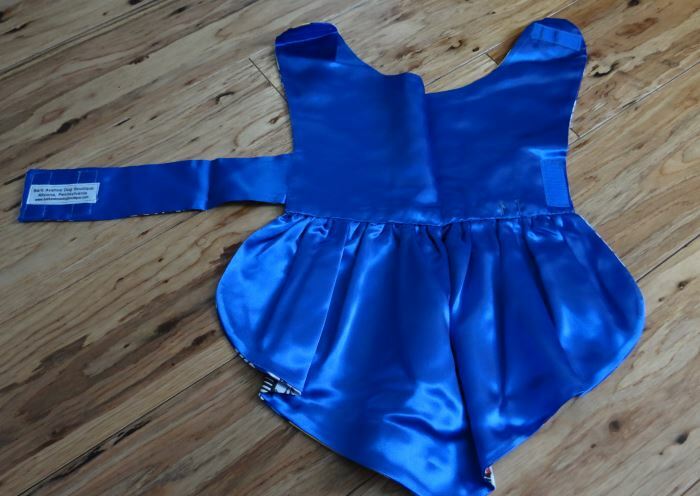 The dress is fully lined with a vibrant blue satin fabric. 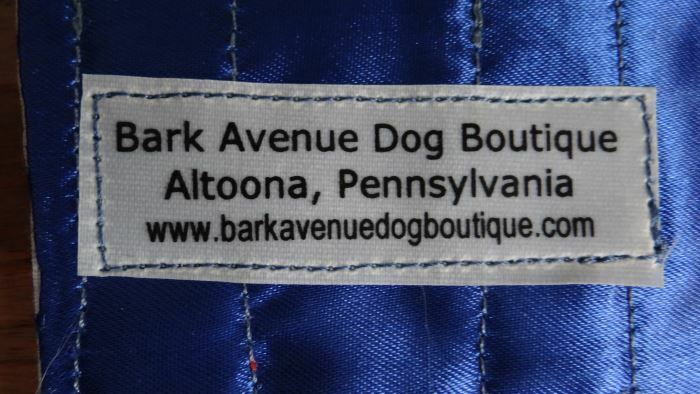 The Bark Avenue Dog Boutique label is stitched inside of the dress. The dress is designed to have a waist. 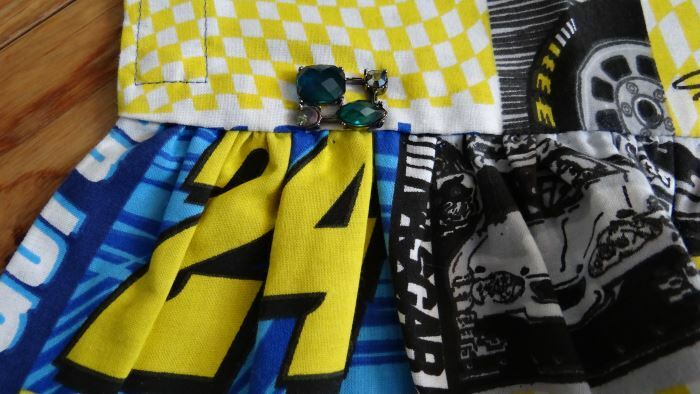 The skirt of the dress comes to a vee along the middle of the hemline. The dress velcros at the neck and under the tummy. There is a broach embellishment at the neck and waist of the dress. 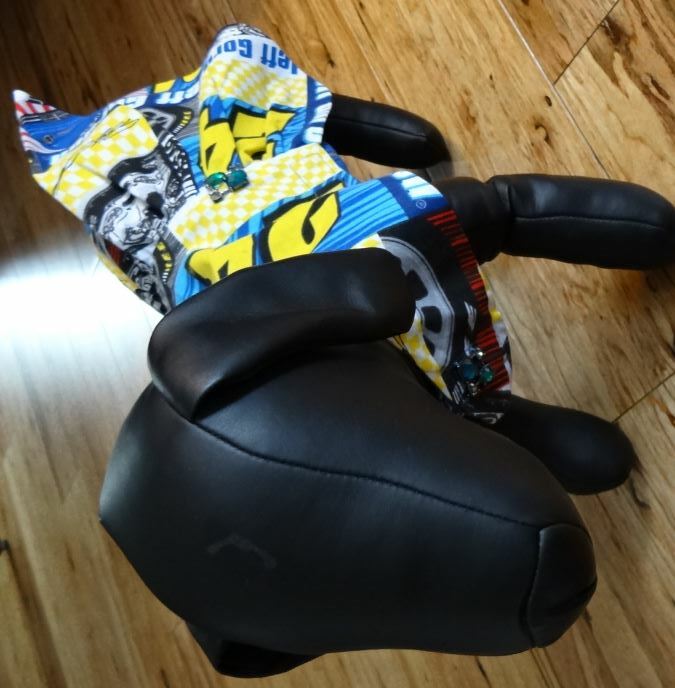 The dress measures 12” at the neck, 15” from the back of the neck to the hemline and 16”-18” around the adjustable tummy. Machine wash and tumble dry at low heat. You can touch up with a warm iron.